Gina Sevigny, MD is a board certified dermatologist. After completing her undergraduate degree from the University of Florida with high honors, Dr. Sevigny entered the University of Florida College of Medicine a year early through the Juniors Honors Medical Program. Finishing in the top 3 percent of her medical school class, she then went on to her medical internship and dermatology residency at Shands Hospital at the University of Florida. Dr. Sevigny was chief resident from 1997-98 and stayed on as Assistant Professor in Dermatology from 1998-99 and is currently an Adjunct Assistant Clinical Professor of Dermatology at University of Florida College of Medicine. She has been in private practice in Ormond Beach since 1999 and opened Ormond Beach Dermatology in 2001. Dr. Sevigny is a fellow of the American Academy of Dermatology, the American Society of Dermatologic Surgeons, as well as the American Society for Mohs Surgery. She is also a diplomat of the American Board of Dermatology. Dr. Sevigny has served on the University of Florida Medical Alumni Association Board of Directors since 2008, holding the positions of Secretary/Treasurer and Vice President. Most recently she was elected President for the 2014-2016 term. 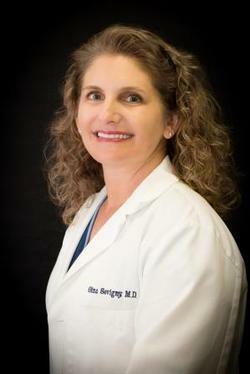 She has been the author of several publications and continues to teach residents and medical students in her office as a Clinical Assistant Professor for Florida State University College of Medicine. She has advanced training in Mohs Micrographic skin cancer surgery, facial rejuvenation, Botox®, injectable fillers, and lasers. Dr. Sevigny is also fully trained in leg vein treatment.